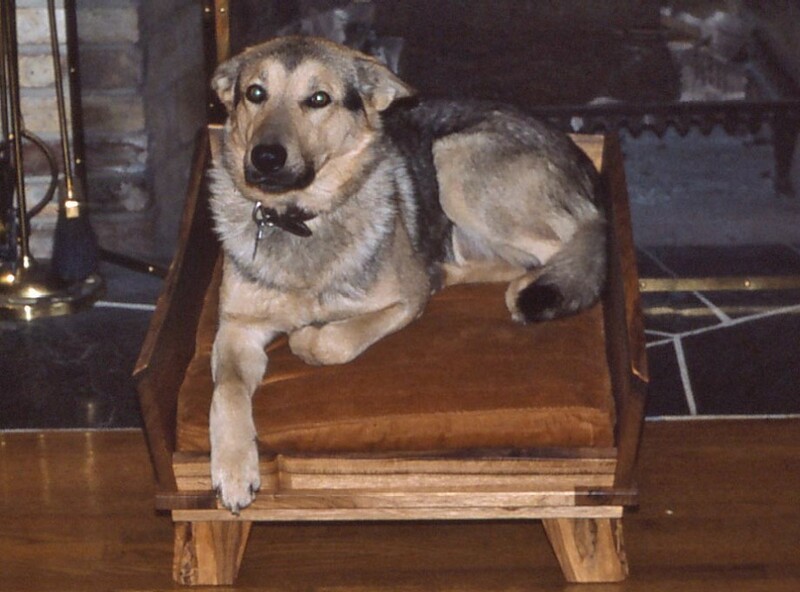 Pepper was a rescue who probably was a full-blooded German Shepherd. He lived with our cousin Irv Miller near Rochester, Minnesota. Pepper and Garrett were "cousins," related by way of the extended family tree of their two-legged companions. Pepper is pictured below. In Irv's words from January 2012, "Pepper was a foundling. 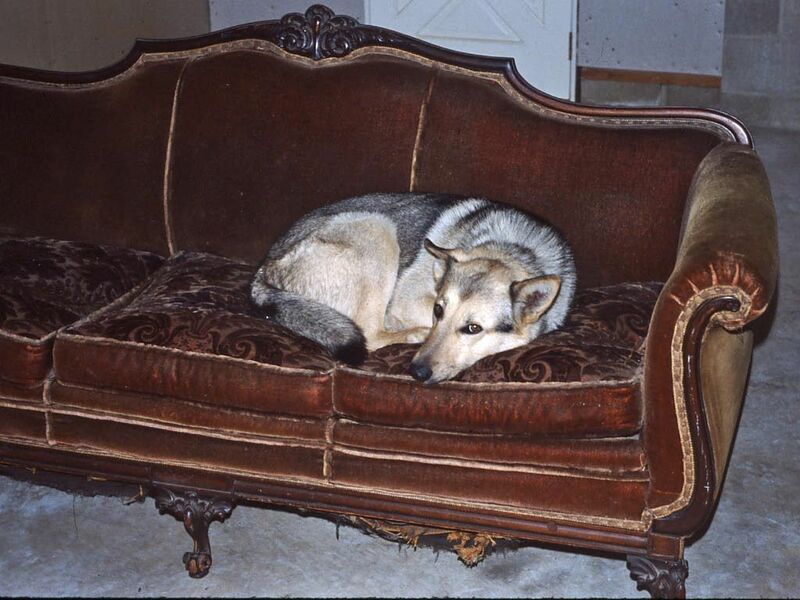 He was perhaps less than a year old when we obtained him, He had the conformation and markings of a full-blooded German Shepherd. He was mild mannered, and had been trained by a previous owner to walk on a leash and obey some basic commands. I reinforced his basic commands and taught him to be obedient and well behaved around friends and strangers. This did not prepare him to be a guard dog around our property. He became the possession I would least want to be stolen." See more of Pepper's history below the pictures. "Pepper didn’t have a chance to become a house dog, although, except for his shedding, I think he would have been a good one. We had finished off our small house, and Diane decided that the next dog, which turned out to be Pepper, would have to be an outdoor dog. He was allowed to roam free day and night, but always kept close to home. I built an electrically-heated dog house for him, placed inside our garage, where he could stay in the colder weather if he preferred. When we went away for a few days, our next door neighbor put out food for him. Water was always available in Gelk’s Gulch, a spring-fed ravine on my property, named after my first dog. "Pepper lived to about age 13. I was very busy at work and with my hobbies in those days and wish that I had spent more time with him. He developed demyelination of the spinal cord and could no longer stand up or do his necessary functions, so I had him euthanized. I can’t remember every crying so hard." 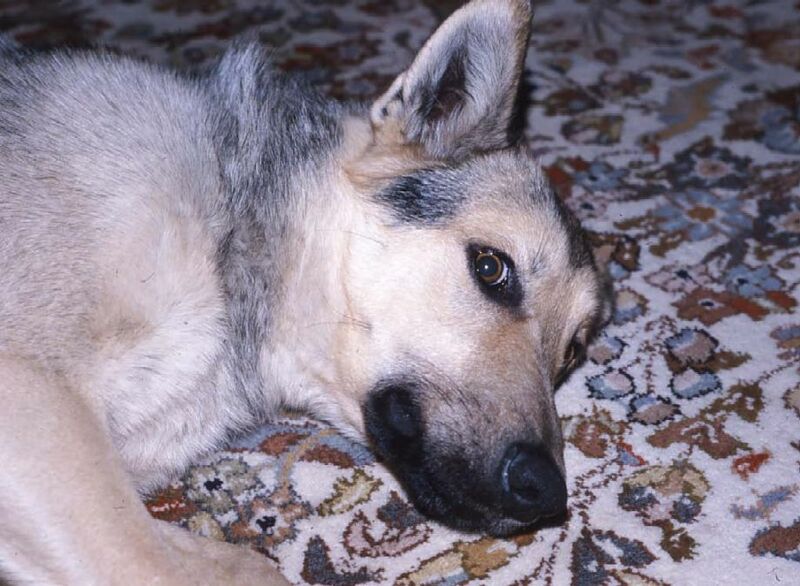 Irv's next German shepherd was named Maidel (1991-1999).